Wendy has been with Third Place, in her words, "since before the dawn of time." Or 16 years. You'll find Wendy out at Lake Forest Park working hard coordinating all the great events at both locations and buying all those adorable sidelines and gifts. She's into Crossfit, really, really into it. And she's got two adorable chihuahuas named Mimi and Harriet. She was once obsessed with Elvis Presley...but who hasn't been? "I was obsessed with Elvis Presley my 8th grade year, only listened to Elvis music and only watched Elvis movies, documentaries and made for TV movies. I used to have a gold poofy cover Elvis book that cost $30 (a ton of dough at the time) that I kept in my locker and would only let my friends look at it if they washed their hands. I miss that book." 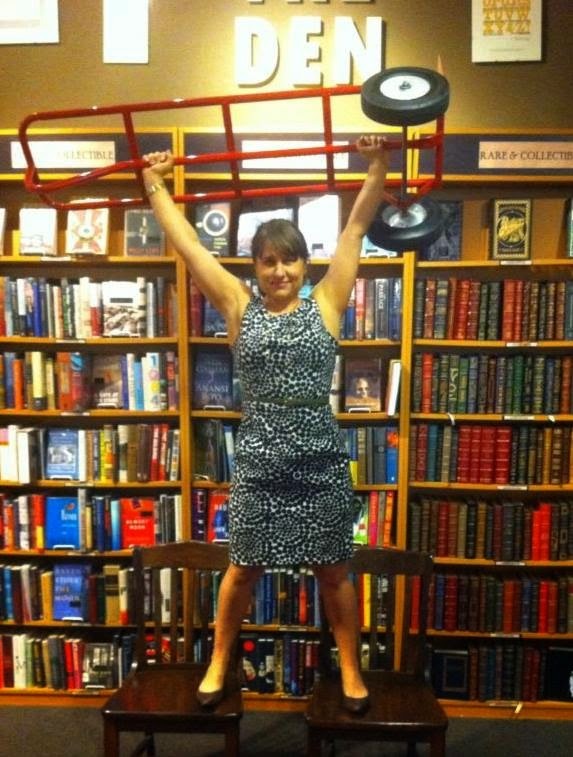 How long have you been a bookseller? I got my first job as a bookseller in Everett Washington at a small store called Port Gardner Bay books when I was 21...so that long. What's your favorite section in the store? Fiction. What book do you recommend most? The one I have a chance at selling is Confederacy of Dunces, you're a dunce if you haven't read it. 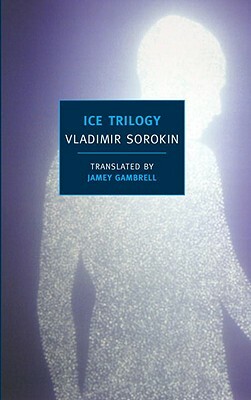 The one I WISH I could sell more of, The Ice Trilogy. Favorite bookstore, besides Third Place? I really like Elliot Bay's new digs. And there was a super cute store in Palmer, AK that I loved (editor's note: I think she means this one). What are you reading now? Uhhhh...textbooks and really poorly scanned pages from books provided by my professors. I'm in school. Can you read more than one book at a time? Yes, but only fluff books. Do you have to finish a book once you've started, or do you give up on books? I give a book 30-50 pages, if it hasn't grabbed me I let it go. There are waaay too many books I'm NOT reading to spend more time with a book I don't like. 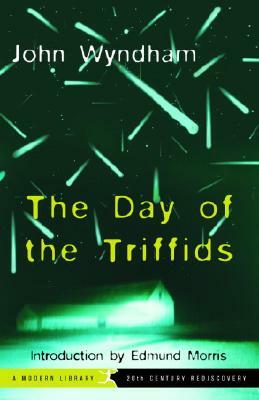 A book you regret not reading sooner or a book you regret never having read. There are a lot, in high school my English teacher ONLY assigned Steinbeck...and maybe a little Shakespeare. I love Steinbeck, don't get me wrong...but I wasn't introduced to the broader world of literature until I started working at bookstores. I really wish someone would have introduced me to Daniil Kharms, Joan Didion and Balzac. Favorite author, or three, or five. Daniil Kharms, Joan Didion, Edith Wharton, Balzac!!! Least favorite author. Norman Mailer. Guilty reading pleasure. Vampire novels...so embarrassing but NOT Twilight..puhlease. Do you keep books? I only keep 50 books in my house, if I start to get over the limit, I purge. 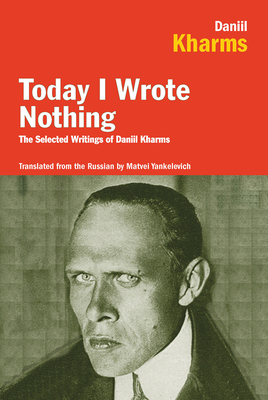 I DO have multiple copies of The Confederacy of Dunces and Daniil Kharm's book Today I Wrote Nothing, to give away. Borrow them? No. Lend them? I give books away, I don't want them back...see 50 book rule. How are your bookshelves arranged at home? Size. Do you judge books by their covers? Yes, of course. Favorite book as a kid. Little Women, I still have my original copy! Have you read Ulysses? No, and I won't. Wendy didn't mention a book she's read lately and loved, mostly because she's working hard in school AND at work AND at Crossfit. So I'm going to mention a book she convinced me to read which I loved.